Known as Domain Name System, DNS is an Internet service that ciphers domain names into Internet Protocol (IP) addresses. “The DNS is the central database of the internet, and without it, the internet would cease to exist as we know it,” as pcnames.com bluntly puts it. Alphabetized domain names are used for a reason; it’s easier for the human mind to remember names instead of numbers. But the Internet was founded on IP addresses, i.e., numbers, and so DNS must convert a domain name into the matching IP address. For example, one of the IPs for www.opendns.com is 208.69.38.170. This kernel of information seques into…. A trademarked brand, OpenDNS® is an extension of the Internet’s Domain Name System. This Internet service protects users from phishing and provides elective content control filtering. Like Google Public DNS and DNS Advantage, it is an alternative to “recursive” DNS servers offered by MSOs and ISPs. Its flagship product is a network security suite called ‘Umbrella,’ which according to Wikipedia is “designed to enforce security policies for mobile employees that work beyond the corporate network using roaming devices such as Window and Mac laptops, iPhones and iPads (and tablets) and provides granular network security for all devices behind the network perimeter.” Despite the misleading name, OpenDNS is based on closed-source software. OpenDNS was was started by enterprising computer scientist David Ulevitch in July 2006. 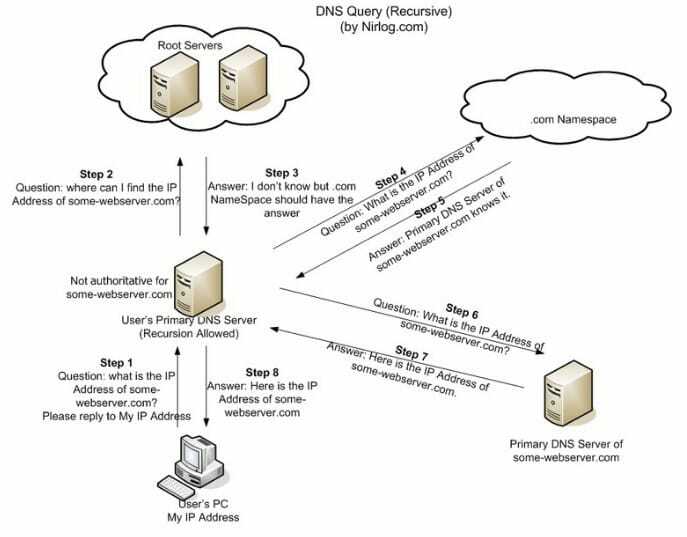 The company offered recursive DNS resolution for businesses, schools and homes. Some of the early products/services available included Phishtank (a user-shared anti-phishing database) and a web filter that blocked adult content which by 2010 became FamilyShield. More recently, OpenDNS introduced Security Graph (a intelligence and threat detection engine) in 2013. The company was acquired in an all-cash transacation by Cisco Networks for $635 million on 27 August 2015. Like other alternate DNS servers, the basic OpenDNS products are free and simple to use — no downloads are needed. Its most popular application is probably used as a web filter for home networking. It can be seamlessly interfaced on both the local router or individual client devices, no matter the platform (e.g., Windows, iOS, Android, Mac). OpenDNS offers three home internet security products: OpenDNS Family Shield, OpenDNS Home and OpenDNS Home VIP (at $19.95 per year). Click on the imbedded product links above for more information and setup instructions. Open your web browser and go to your router’s address. Usually it is 192.168.1.1 type in the user name and password to access administrator settings. For this example I am using a Linksys WRT54GS, yours may be different but the entry is basically the same. Under basic setup find your router’s static DNS settings. Type in 208.67.222.222 and 208.67.220.220, hit save and you’re done! Remember, you don’t have to use the DNS server provided by your ISP or MSO. Third party servers like OpenDNS offer several features and benefits that your existing DNS server likely doesn’t have. Faster Browsing. 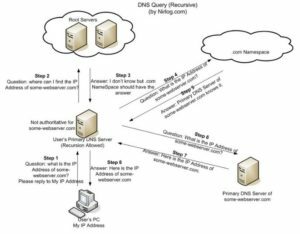 Depending on where the DNS server is located, one’s geographic location and the speed of one’s ISP servers, a third-party DNS server could offer faster browsing over the existing DNS server. It should be noted that ISPs have the reputation of lagging behind when it comes to implementing the latest DNS technology when compared to third party providers like OpenDNS and Google Public DNS. Reliability Issues. Related to browsing speed is reliability. Some ISPs are lax when maintaining their network elements. Evidence of neglect can be found in the speed and stability of their DNS servers. When they perform less than optimally, websites load very slowly or even fail to load at at all. Hence a third party DNS server can offer more reliable service. Web Filtering for Parental or Work Supervision. This service allows configuration to block specific types of websites with content that may be unsuitable for children or NSFW. When configuring a router, the settings will affect all devices running on a home or office LAN. Remember of course that tech-savvy teens — and aren’t they all? — can change the DNS server on their device to foil network filtering. No Phishing. Another filtering service of OpenDNS allows users to block phishing sites. Today’s browsers such as Chrome and Firefox have native phishing protection but networks that run Windows XP with Internet Explorer 6 would be prudent to use OpenDNS for protection against identity theft. Note that Google Public DNS does not offer this service; their emphasis is on speed.